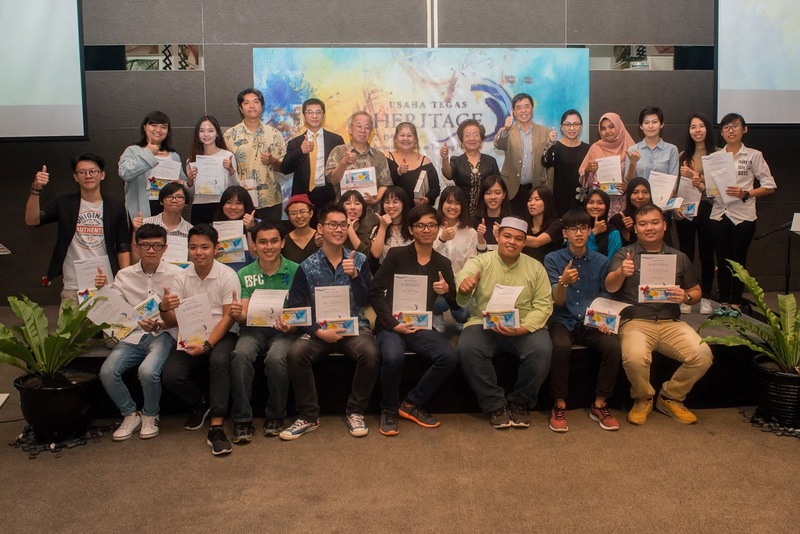 The Usaha Tegas Heritage Art Competition by Usaha Tegas Sdn Bhd (UTSB), is back. The Usaha Tegas Group is a Malaysian private investment holding company owned by eminent Malaysian businessman, Tan Sri T Ananda Krishnan. The Group has significant interests in companies operating across diverse industries such as telecommunications, media and entertainment, oil and gas, as well as real estate, in Malaysia and globally. Winners of the Usaha Tegas Heritage Art Competition 2017 are joined by Maureen Toh, Director, Usaha Tegas Sdn Bhd [standing, fifth from right] and Lim Ghee Keong, Chief Operating Officer of Usaha Tegas Sdn Bhd [standing, fourth from left]. Ms Maureen Toh, Director of Usaha Tegas Sdn Bhd said, Culture and heritage are the social glue that hold us all together, which is why UTSB is committed to celebrate our Malaysian heritage through this annual competition which is now in its 19th iteration. Allowing young Malaysians to depict what Malaysian heritage means to them, ensures that our shared history is imparted to generations to come. This year, talented young artists from across the nation are once again invited to demonstrate their artistic flair by interpreting Malaysias rich tapestry of heritage through art. Fung Wei Wei from University Sains Malaysia bagged 1st Prize for the Watercolour Category last year. 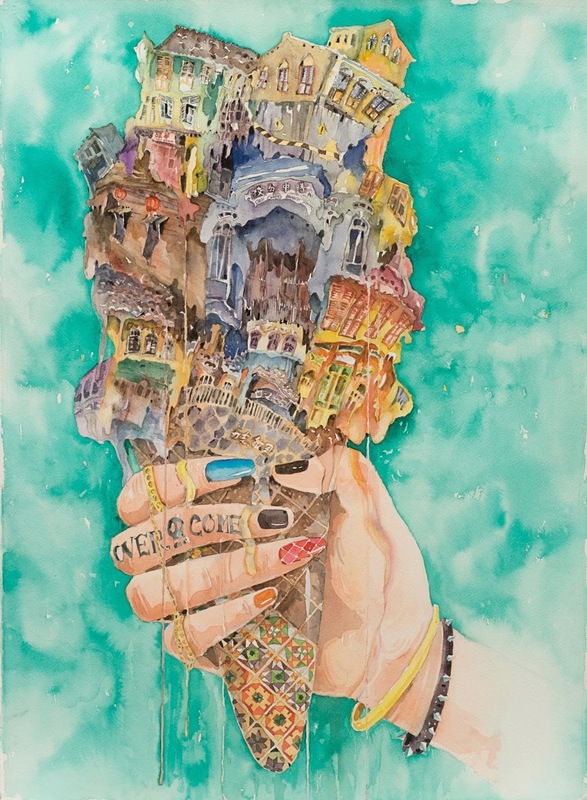 With a scoopful of whimsy, the artist portrays Malaysia’s increasingly threatened heritage sites as a melting ice-cream cone, irresistible to ravenous developers. 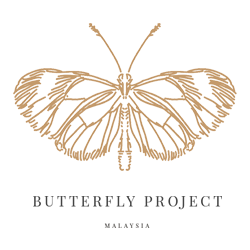 To be eligible, young artists must be Malaysian students pursuing their tertiary education locally. UTSB is working hand in hand with local institutions of higher learning to encourage young artists to showcase their talent. Interested artists can obtain entry forms via their respective tertiary institutions. Those who are interested will have until August 30, 2018 to express their appreciation for our nations rich heritage by applying their artistic talents. 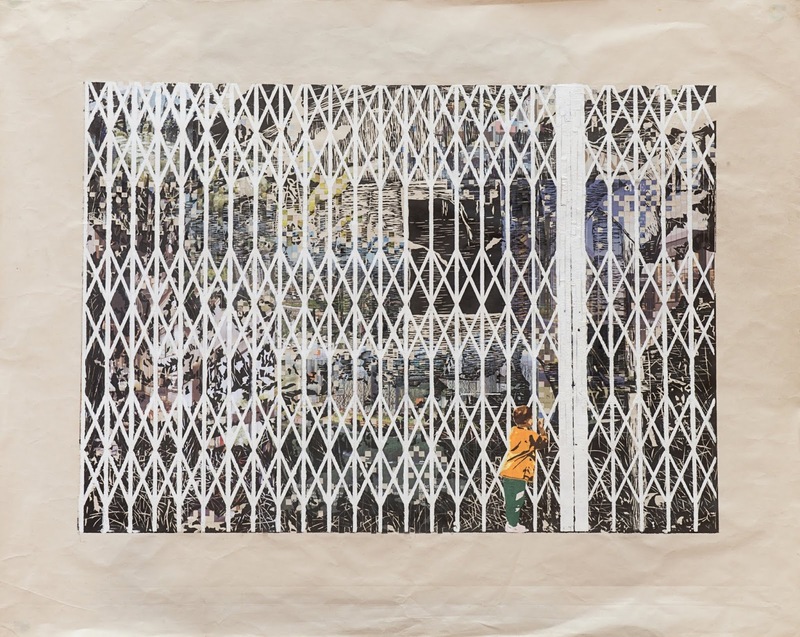 Sim Hoi Ling from Dasein Academy of Art won the 1st Prize for the Mixed Media Category last year with this artwork titled 'Peeping Future – Where is my home?'. The exaggerated scale between the minute onlooker and the colossal wrought iron grill lends drama to this piece. Participants are not restricted in terms of the number of entries they can submit. The artworks will need to fall under one of the following five categories: oil or acrylic; watercolour; charcoal or pencil or oil pastel or ink; print making as well as mixed media. The first prize winner for each category will receive RM8,000, the second prize winner will walk away with RM3,000 while the third prize winner will take home RM2,000. 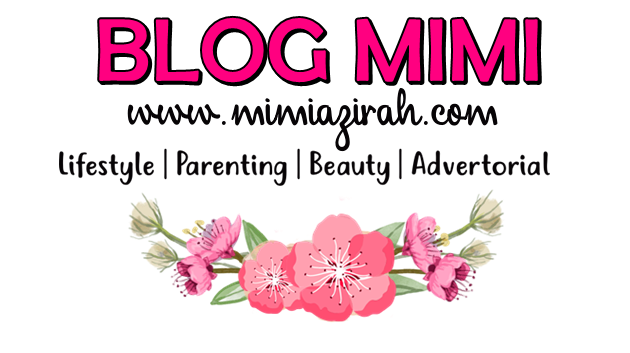 Consolation prize winners will receive RM500 each. In addition, each winner will also receive a certificate and RM500 worth of TGV (Tanjong Golden Village) tickets. Last year, cash prizes worth a total of RM77,000 were given away. The competition saw a total of 955 entries, of which 29 pieces by 25 artists, outshone the rest. Lee Lih Xian from ATEC Academy, Penang won the 1st Prize for Charcoal/Pencil/Ink Category last year with this artwork titled Goh Ka Ki. 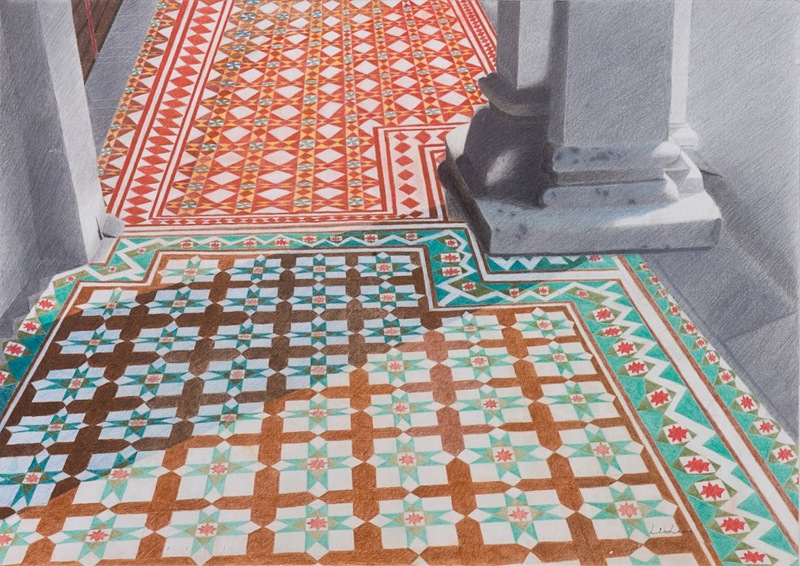 The artist exhibits a skilled hand and remarkable coloured pencil technique in this effervescent piece. Over the years, this competition has acted as a launching pad for talented students looking to pursue a rewarding career in the arts, as evidenced by the fact that a substantial number of ex-contestants have gone on to become successful artists themselves. The competition will be judged by a panel of esteemed judges, including last years Chief Judge, En. Juhari Said, an award-winning Malaysian artist with a career spanning over 35 years. En. Juhari commented, Every year, we as judges who are entrusted with the task of sieving for the cream of the crop, have a tougher task at hand in selecting the winning entries. Nevertheless, I am pleased with the tangible growth I am able to perceive in terms of the complexity of thinking behind the entries, they just keep getting better and better. Goh Jing Shya from ATEC Academy, Penang won the Consolation Prize for Oil/Acrylic Category last year with this artwork titled The Chatting among three Nyonya Women. 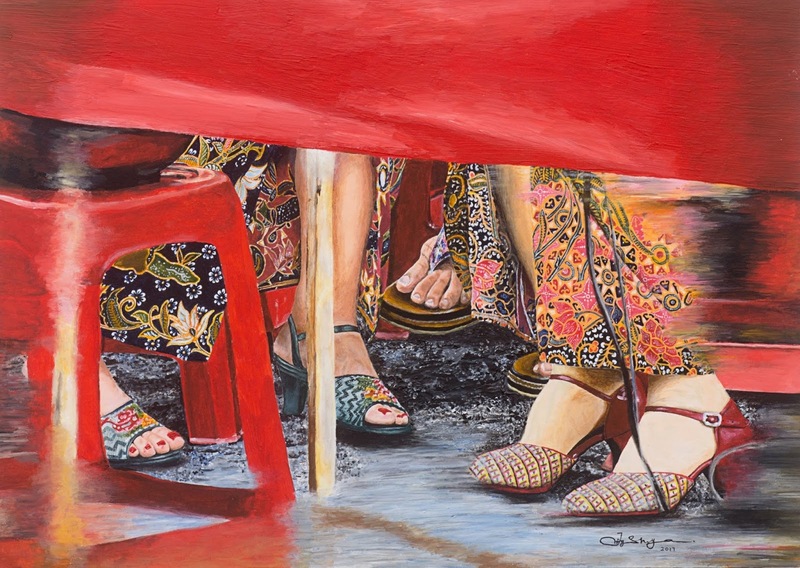 In this vividly expressive piece, the artist presents the Peranakan culture through an unusual perspective by inviting the viewer to catch a glimpse of an intimate conversation between three elegant Nyonya women from the ground level. One of last years winners, Fung Wei Wei from USM, who bagged both, the first prize for the Watercolour category and the third prize for the Charcoal/Pencil/Ink category, commented, Joining this competition has been an unforgettable experience for me. Not only did I win two awards and get my artwork displayed for hundreds of people to see through the exhibition, I was also approached by many who saw my pieces in the resulting media coverage, be it print, online or on TV. I am very glad to be an Usaha Tegas Heritage Art Competition winner and am thankful for the new opportunities this competition has brought forth for me. Aina Nadiah Binti Fauzi from UiTM Shah Alam, last years second prize winner for the Print Making category, also commented, To be acknowledged by the Usaha Tegas Heritage Art Competitions eminent panel of judges is a dream come true. I would like to thank the organisers for this fantastic opportunity. I am now inspired to explore further the many facets of my own heritage as well as the heritage of my fellow Malaysians. 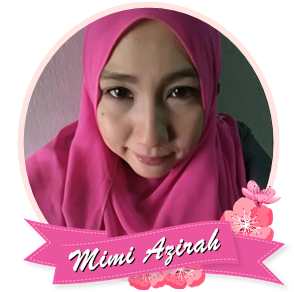 Cantiknya lukisan nie semua Mimie.. hadiah pun menarik..
Art nampak hidup... suka tengok!